Convicted spy Jonathan Pollard has been released from prison, a U.S. government agency and Israeli Prime Minister Benjamin Netanyahu said Friday, culminating an extraordinary espionage case that occasionally complicated American-Israeli relations over nearly 30 years. “The people of Israel welcome the release of Jonathan A. Pollard,” Netanyahu said in a statement. “As someone who raised Jonathan’s case for years with successive American presidents, I had long hoped this day would come,” he said. 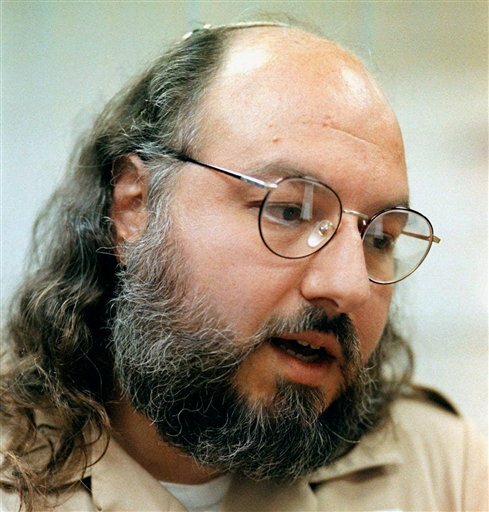 Pollard’s release from a federal prison in Butner, North Carolina came nearly 30 years to the day after his arrest for providing large amounts of classified U.S. government information to Israel. Ed Ross, a spokesman for the U.S. Bureau of Prisons, said that “as of this morning, Jonathan Pollard is no longer in BOP custody.” Officials at the Butner facility were not available to answer reporters’ questions Friday. “I have waited for this day for 30 long years, unbelievable.” Anne, his ex wife told Army Radio. “Its an amazing moment.” Army Radio is a radio station in israel. Attorneys for Pollard did not immediately respond to messages seeking confirmation of the 61-year-old’s newfound freedom. Pollard had been granted parole this summer from a life sentence imposed in 1987. His lawyers have said that they have secured a job and housing for him in the New York area, without elaborating. The terms of his parole require him to remain in the United States for at least five years, though supporters — including Netanyahu and some members of Congress — are seeking permission for him to move to Israel immediately. The saga involving Pollard for years divided public opinion in the United States and became both an irritant and a periodic bargaining chip between the United States and Israel. Seymour Reich, a former president of B’nai Brith International who visited Pollard twice in prison, said that while he believed Pollard broke the law and deserved to be punished, his sentence was overly harsh. Like other supporters, he believes Pollard was “double-crossed” into thinking he’d be afforded leniency in exchange for a guilty plea. “I hope that he settles down and lives the remaining years as best as he can,” Reich said. U.S. officials have said Pollard, over a series of months and for a salary, provided intelligence summaries and huge quantities of classified documents on the capabilities and programs of Israel’s enemies. He pleaded guilty in 1986 to conspiracy to commit espionage and was given a life sentence a year later. Pollard’s lawyers also have sought permission for him to travel immediately to Israel, and two Democratic members of Congress — Eliot Engel and Jerrold Nadler, both of New York — have called on the Justice Department to grant the request so that Pollard can live with his family and “resume his life there.” The congressmen say Pollard accepts that such a move may bar him from ever re-entering the United States. The White House has said that it has no intention of altering the conditions of Pollard’s parole, and even friends and supporters say they don’t know exactly what’s next for him. President Barack Obama’s deputy national security adviser reiterated that stance on Friday, telling reporters traveling with Obama to Malaysia that “this is something that Prime Minister Netanyahu has regularly raised” in discussions with the United States. “It’s a very unusual situation … I’ve been working with Mr. Pollard for 20 years, and even I don’t know where he is going or what he will be doing,” said Farley Weiss, an Orthodox rabbi who has been lobbying on Pollard’s behalf for two decades. Associated Press writers Ian Deitch in Jerusalem and David B. Caruso in New York contributed to this report.